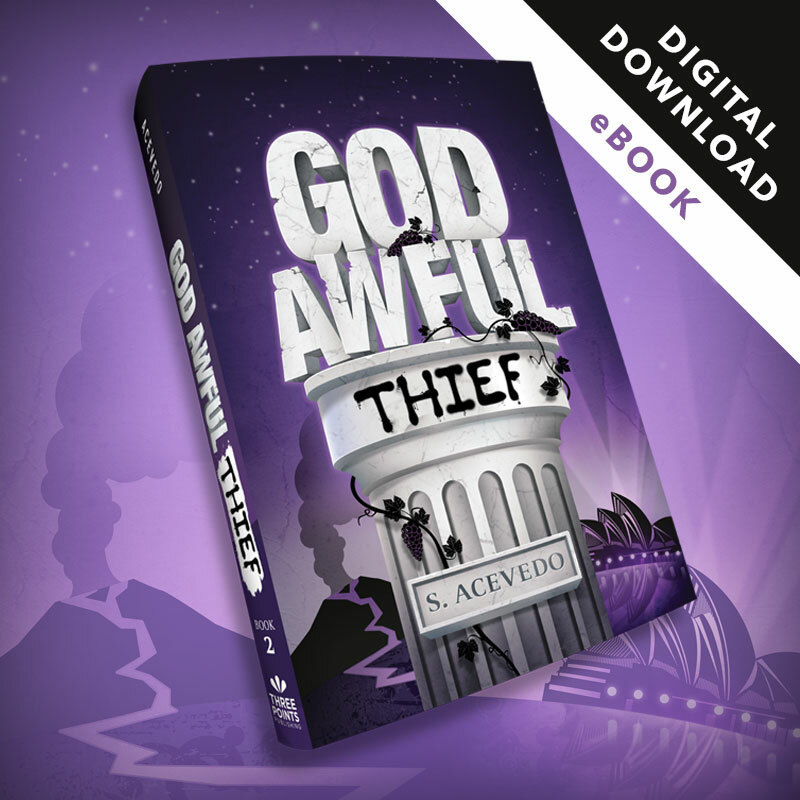 You’ll get God Awful Thief, book 2 in the God Awful Series by S. Acevedo, in eBook format. Cupid’s back and at the top of his game. 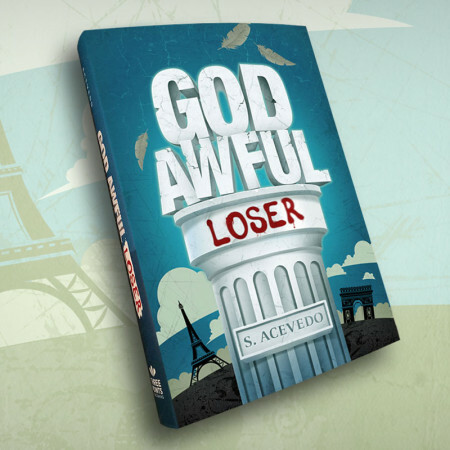 The always adored – and now restored – God of Love has a new look, a new attitude, and even a steady girlfriend. With his humiliating dethronement and harrowing banishment behind him, Cupid wants nothing more than to settle in to a comfortable immortality. But someone has dreamed up a different plan. With a sea god setting the oceans against him, a drama-loving hanger-on refusing to go away, and the king of the gods ordering Cupid to steal the most powerful relic ever made by the most cunning god ever angered, Cupid and his leading lady, Tamara, must join a new cast and crew to face their most challenging mission yet. The stage is set for an epic performance, but just who is writing this script? And will Cupid and his troupe figure it out before they lose their minds – and quite possibly their lives? 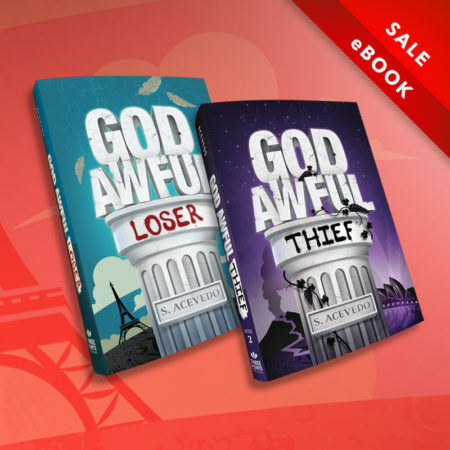 God Awful Thief brings new hilarity and an ever-expanding cast of fickle gods to Cupid’s misadventures, potential tragedies, and everlasting comedies. 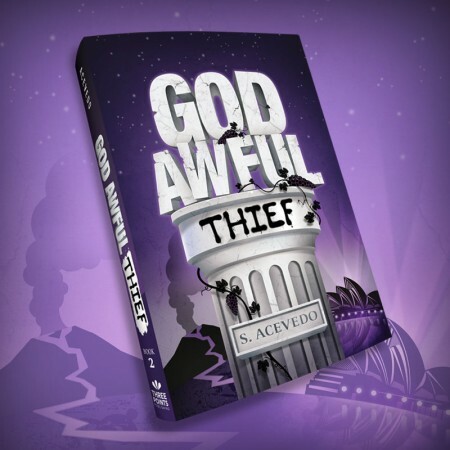 God Awful Thief is the second act in the God Awful Series of Books. We use a trusted third party website to deliver our digital downloads. 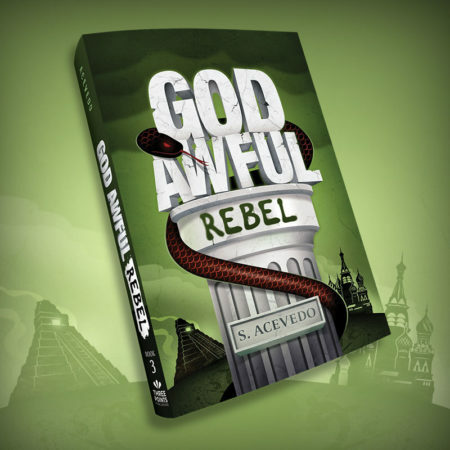 Once you click “Buy Now at Gumroad”, you will be taken to the Gumroad website where you can securely purchase and download the book.